It seems as everywhere I turn someone else I know is going on a tropical vacation and I'll admit I am having MAJOR FOMO! I am heading to Vegas this weekend with my mom and some friends but nothing quite beats a beach, sand and a fun cocktail in your hand. With work and my life getting in a vacation that isn't just two days seems to be a ways away for me but until then I can dream. 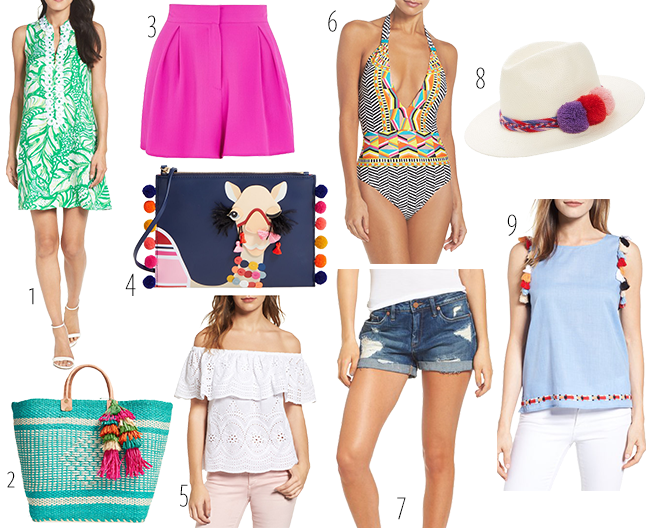 To start dreaming I obviously have to share some fun spring picks that would be perfect for any tropical getaway. Hope y'all are having the best week! We are almost there.